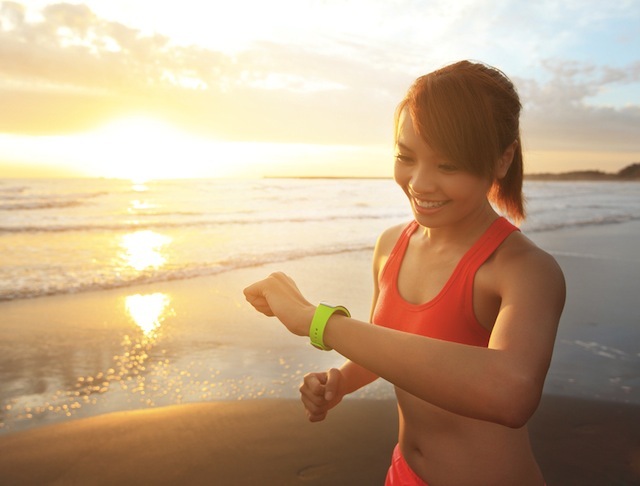 Connected devices are breathing excitement back into the world of personal fitness, as successful brands straddle the line between manufacturers of sports equipment and personal trainers, motivators and educators. Connected devices — or as the cool kids are referring to them, Internet of Things (IoT) — are showing up everywhere in sports, from NFL broadcasts to your co-worker’s Fitbit, and they’re changing the way the entire sports vertical is marketed. This means big changes in how sports brands sell to consumers. That even goes for sports businesses that aren’t manufacturing connected devices like clothing or equipment with a sensor in it. If you operate a small driving range, a chain of fitness centers or a major league sports arena, you need to keep in mind that your customers are using IoT products or are connecting with professionals who do use them. Whether you are an agent, a manufacturer, a retailer, or a landlord, if your business crosses paths with athletes or fans, that means your customers are changing, and your marketing will need to change to reach and engage them. Athletes and fans are hungry for data now that sensors that measure speed, acceleration, direction, balance, distance, altitude, weather and stress levels have become small and inexpensive enough to embed in an athlete’s shoes, golf clubs, and undershirt. It’s creating a brand new experience for sports fans – one focused on social connectivity and gamification. For example, during the 2014 season, the NFL partnered with Zebra Technologies to tag players with its wearable sensors during games to supply coaches with real-time information and create a brand new experience for data-hungry sports fans. Imagine if instead of just seeing how many catches a receiver made, we could actually see their body temperature or track their exhaustion rate. Connected devices are also breathing excitement back into the world of personal fitness, as successful brands straddle the line between manufacturers of sports equipment and personal trainers, motivators and educators. It’s no longer enough just to sell shoes, a treadmill or a pass to the gym. To thrive, a brand has to become the runner’s personal coach. Devices like the Fitbit offer consumers ways to challenge themselves to walk a certain number of steps or burn a certain number of calories. Meet your goals? Get a pat on the back. Slacking off? Your Fitbit will remind you to get up and move. That kind of personalized, connected motivation is incredibly powerful – and it’s why Fitbit, Inc enjoys enough success to consider seeking an IPO this year. Consumers are expecting more out of their equipment. They don’t want to buy a weight bench that relies on their own willpower to use. They want a weight bench that doubles as a coach to celebrate their personal bests, share their successes on social media, and reminds them to stick to a fitness routine. Next comes the personal touch. Companies like FitOrbit, Fitmo and GOQii are creating new value by combining the wearable tech with personal trainers. This is opening up an entirely new ecosystem of “remote professionals” who can help coach and make people better. This kind of support has a two-sided advantage — creating a new market and building commitment to the original product. The great thing about coaching is that it’s supposed to be repetitive. It’s an open invitation to communicate your message and influence the customer behavior so that using the product becomes a habit. Gone are the days when brands could just tout the health benefits of their product and expect customers to buy. Now they need to bundle those products with tools to help their customers get beyond willpower. How? By providing educational and motivational materials in their content channels and by making fitness more fun, gamifying goals and connecting users into communities who have each others’ backs. One of the biggest challenges marketers face is turning the tide of consumer behavior and convincing people to try something new. That problem is can be minimized with IoT devices, which connect easily to the user’s phone then can melt seamlessly into the background. But IoT tech can also be poorly designed so that the device requires too much care and feeding. If a device or app doesn’t make consumers lives easier, they’ll walk on by. Customers love devices like the Fitbit, Jawbone Up, or Basis heart rate and sleep monitor, because they can turn on their device and then just forget about it. It doesn’t become yet another thing you have to do in your already busy day. Instead of having to keep track of how far you’ve walked, an armband does that for you. Instead of setting an alarm to remind you to get up and go for a walk, your wristwatch buzzes because you haven’t been active in a while. Instead of guessing at your optimal heart rate, sensors in your clothes take your age, weight and body mass index into account and notify you if you’re overdoing it. IoT technology is even transforming one of the oldest games around: golf. For some players, golf is essentially a contest against themselves and their past performance. For other players, it can be one of the most social sports. But in any case, the industry is challenged to maintain its popularity, because it is time intensive and it’s getting harder to get friends together for a round. One of our clients, Arccos, is addressing golfers’ desire for self-improvement with a set of connected golf club sensors paired to a mobile app, letting consumers track distances for each club. To me, that’s one of the most exciting things about connected technology: the freedom to just have a phone in your pocket and play the game you love. It’s important for brands to keep in mind that just because a product is connected to the internet doesn’t make it useful. “Hey, let’s do this. It’ll be cool!” has never been a great way to develop products. Whether you’re connecting a snowboard boot or a pair of sunglasses you have to understand why. Does your device add value, entertainment or utility? Or are you providing a solution to a problem no one has? Because in the end, no matter how big a role technology plays in the industry, sports is still a people business. It’s crucial that marketers and agencies keep sight of how the technology helps brands further engage with people. Readers: How are you disrupting sports as we know it today? Pete Sena is the founder of Digital Surgeons, an experience design firm that connects consumers and brands to create better brand experiences. Pete considers himself a curious student of life and spends his out of office time reading voraciously, attacking Crossfit, and exploring.